This was my first ever Solo-CD. My teacher René Jacobs suggested repertoire in my mother tongue and proposed many of these beautiful songs. Eva Coutaz of Harmonia Mundi liked the idea and gave me this wonderful opportunity to record a solo CD. I still work to this day with most of the musicians that participated in this recording. Some of them even played in my student recitals in Basel. 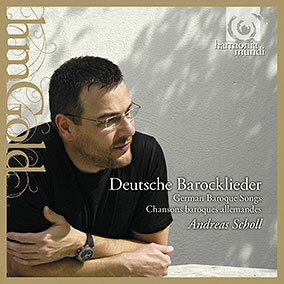 With my second Solo-CD I ventured into the typical „Countertenor-repertoire“. During my studies I discovered Alfred Deller´s recordings and was amazed by his inimitable effortless floating quality of sound. His interpretations of English folk songs are unsurpassed. 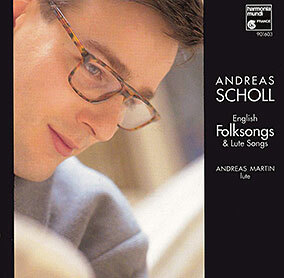 I fell in love with this repertoire and still today I love to sing English folk songs in my recitals. I met Chiara Banchini during my studies in Basel and sung under her direction in some Schola Cantorum Basiliensis concerts there. 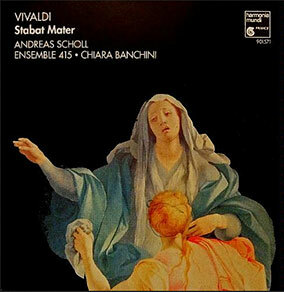 Chiara´s „Ensemble 415“ had recorded for Harmonia Mundi before and that meant that I got to record Vivaldi´s „Stabat Mater“ with one of the top baroque ensembles at that time. This recording is one of my all-time favourites. Again we re-united the friends from the Schola Cantorum who greatly helped me in finding this beautiful repertoire. The „Concerto di Viole“ is one of the world’s leading viola da gamba ensembles. 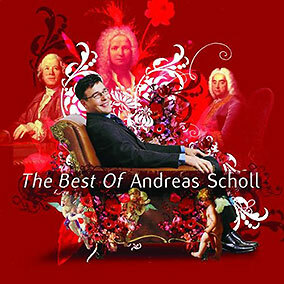 I especially love: J.C. Bach: „Lamento“ , Erlebach „Wer sich dem Himmel wird übergeben“ and Buxtehudes „Klaglied“. If there is any conductor who helped me to understand Bach´s music on a profound level, it must be Phillippe Herreweghe. He reveals the details of the composition carefully and unfolds them to the listener, rather than going for the ostensible effect. Cantata 35 belongs to the most difficult pieces that Bach wrote for the alto voice, but thanks to Philippe´s and his wife Ageet´s support the recording process felt like floating on a magic carpet. 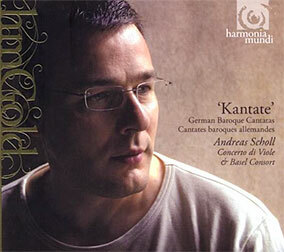 I am still grateful today, that I got to record these beautiful cantatas with him and his wonderful orchestra. 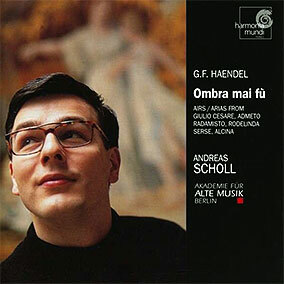 It took a while before I recorded my first Handel-Aria album. With the „Akademie für Alte Musik Berlin“ under Bernhard Fork´s direction we recorded some of the most beautiful opera arias by Handel. 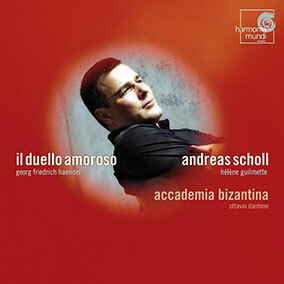 This is another recording with my friends from the „Accademia Bizantina“ under the direction of Ottavio Dantone. Already as a student, I found out, that everything Handel wrote for the famous alto castrato „Senesino“ suited my voice perfectly. Handel understood the human voice and the nature of singers like few other composers and these arias were „tailor-made“ for Senesino. To be allowed to bring them to life today and sing hits like „Dove sei“ and „Cara sposa“, is always a joy. As often as I sing these musical jewels, it never becomes a routine. Senesino travelled far across Europe and met Handel for the first time in Dresden. We followed in his footsteps, collecting arias from other composers that wrote for him, such as Albinoni, Scarlatti, Lotti and Porpora. One of the highlights is Porpora´s „Va per le vene il sangue“ , which creates a strong musical tension through a repetitive pattern in the violins. It sound almost like todays film music. In 2004 I was invited to be a jury-member for the „Concours International Reine Élisabeth“ in Brussels, where I heard the wonderful Hélène Guilmette. She amazed the audience with her interpretations of Handel as well as Verdi arias ! I invited her to record Handel´s „Duello amoroso“ with me and the „Accademia Bizantina“ under Ottavio Dantone´s direction. It was pure joy to sing with Hélène and I hope we´ll sing many more concerts and recordings together in the future. This was the first time that I whistled on a recording! As a student I sang a few songs by Oswald von Wolkenstein after listening to an old recording by Thomas Binkley´s „Studio der frühen Musik“. 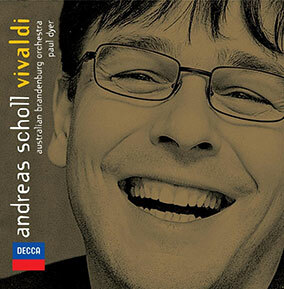 My teacher Richard Levitt sings on this recording along with Andrea von Ramm. Later I decided to record a „Wolkenstein CD“ myself. I especially enjoyed singing the duets with my old friend Kathleen Dineen who possesses one of the most beautiful voices I know. 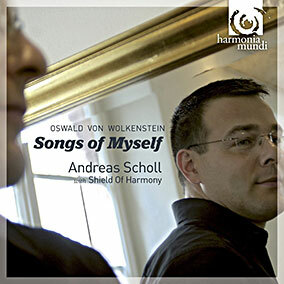 Crawford Young and his „Shield of Harmony“ ensemble accompanied me on this recording. We turned this project into a staged production under the direction of Jos Groenier which included Oswald himself (played by Reinout Bussemaker) and video projections by Joost Gulien. This was one of the most beautiful concert projects I have done and I want to „translate“ many more early music concerts into this new form of presentation. 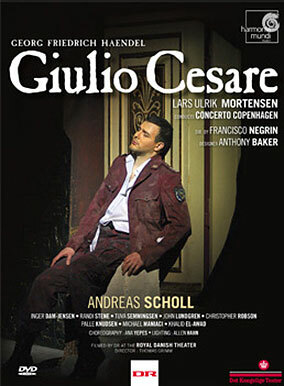 The 2002 production of Giulio Cesare at the Royal Danish Opera in Copenhagen was my first time singing the role of the Roman emperor in Handel´s masterpiece. For most countertenors singing „Cesare“ is a dream coming true and Francisco Negrin´s production made this dream come true for me. The rehearsal weeks with my wonderful colleagues Inger Dam Jensen, Tuva Semmingsen, Palle Knudsen and Randi Stene were some of the happiest weeks of my life. I am grateful that Eva Coutaz of Harmonia Mundi France agreed to release the Danish TV recording on DVD. Back in the days when record companies still had A&R (Artist & Repertoire) managers I was asked by Evans Mirageas, whether I would join his company DECCA for future recordings. He managed to get Sir Roger Norrington and the „Orchestra of the Age of Enlightenment“ on board. 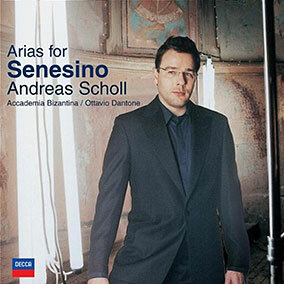 As a „Debut on DECCA“ CD we assembled a representative collection of famous arias written for the alto-castrato voice. The carefully planned following four recordings were already drafted before this first DECCA CD was out; a long term strategy that unfortunately doesn´t exist anymore today with record labels. During a taxi ride in London Evans Mirageas (Decca´s A&R director) asked me who would be my orchestra of choice for the upcoming Vivaldi recording. I had just worked for the first time with Paul Dyer´s „Australian Brandenburg Orchestra“ in Sydney and was still under the spell of their magnificent playing. When I proposed to record this CD in Australia with the ABO Evan´s was speechless for only a few seconds and then said: „Let´s see how we can make this happen“. Half a year later we all met in Sydney and DECCA co-produced the recording with the Australian Broadcasting Company! This CD was a big success and resulted in a „debut“ European tour for the ABO and Paul during which we managed to sell out a „Late night Proms“ concert at the Royal Albert Hall in London. The story of how this entire project came into being and the admiration for Evans Mirageas´ incredible work make this one of my favourite projects ever. Back in the days when artists participated in almost every aspect of their CD productions, Mark Millington the creative and art director at DECCA asked me about ideas for the „Musicall Banquet“ cover. I thought it would be fun to create a coolish, sober atmosphere with an instrument and music sheets as „food“ instead of a „Still Life“. The CD had some very special friends participating: Edin Karamazov played the lute and Markus Märkl harpsichord. 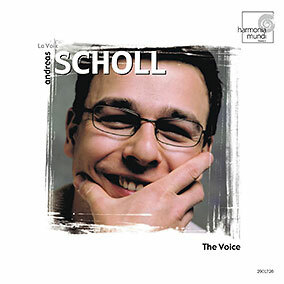 I had sung many concerts under Christophe Coins direction and almost didn´t dare to ask him to join us for just a couple of songs but he didn´t hesitate and „crowned“ this recording with his participation. 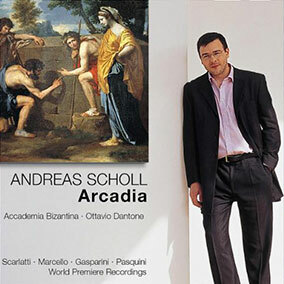 The stories about Arcadia and the mystery that accompanies this theme through countless books have always fascinated me. When I read about the „Accademia degli Arcadi“, a circle of poets and composers in Rome, I knew that I needed to find out more about their compositions. With the help of musicologist Alessandro Borin DECCA created modern editions from the old Italian manuscripts of Pasquini, Marcello, Gasparini and others. This was my first recording with Ottavio Dantone and his amazing „Accademia Bizantina“ whom I had met just a year before for a concert in Beaune. Over the years I continued to work with this group in many concert-tours all over Europe. 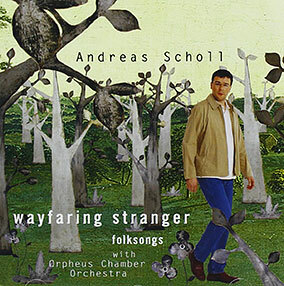 In one of my favourite recordings Charlie Haden sings the old folksong „I am a poor wayfaring stranger“ and I was deeply moved by his singing. I know the song in many other interpretations, but Haden singing it in Alan Broadbent’s arrangement, is the most special of them all. I proposed a „contemporary folksong“ recording to DECCA and I am grateful that they enabled me to realise this heartfelt wish. Craig Leon was asked by DECCA to arrange some of the most beautiful folk-songs for the „Orpheus Chamber Orchestra“. Edin Karamazov on the lute and harpist Stacey Shames played with the orchestra and I especially enjoyed singing „Annie Laurie“ with them! This was one of the most polarising CD´s I ever recorded. It was never meant to be an „early music“ or „classical“ CD; nevertheless classic and early music critics felt compelled to review it and applied their standard listening tools to something that falls into a different genre altogether. But how boring would my life be if I would only strive to satisfy everybody else’s expectations. 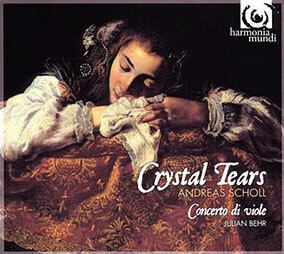 I especially enjoyed singing „Dido´s lament“ on this CD. For the Countertenor Duets I invited my friend Christophe Dumeaux, with whom I sung many opera performances together. My teacher Richard Levitt completed the team as vocal coach. This recording won the „BBC Music Award“ in 2012 and was criticised for the use of a harp in the continuo section by a british musicologist. „Back to Bach“ could be the title for this CD. 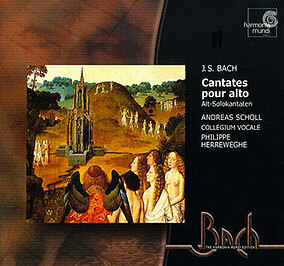 I recorded three Solo-Cantatas for the alto voice many years ago with Philippe Herreweghe and completed the collection with Cantata BWV 82 „Ich habe genug“ and Cantata 169 „Gott soll allein mein Herze haben“. 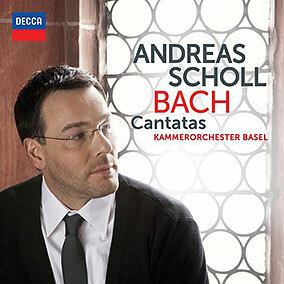 I always claim that Bach´s Alto-Solo Catatas belong to the most challenging pieces in the baroque music repertoire and again I experienced Bach´s genius together with the „Kammerorchester Basel“ for this recording. The church in Guebwiller (Alsace) was terribly cold in January and while orchestra looked like an arctic expedition team I wore 4 layers of thermo-clothing trying to relax and forget the cold whenever the „red light“ went on. 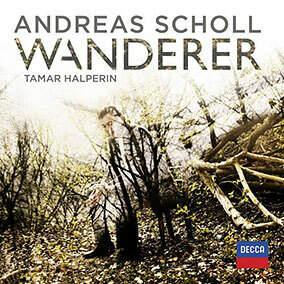 The journey from the „Deutsche Barocklieder“ to the „Wanderer“ recording was a long one. Almost 20 years of singing a great variety of repertoire from medieval, renaissance and baroque music lead to the idea for this CD. 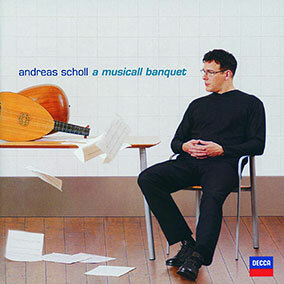 In my opinion the approach towards a Brahms or Schubert song is not so different from the one towards a Dowland or Purcell song. The words and the story need to be clear at all times and should have priority over „style“. In the beautiful „Markus Sittikus“ hall in Hohenems (Austria) I spent four days with my wife Tamar playing the piano, choosing the „songs for the day“ according to our gut feeling. 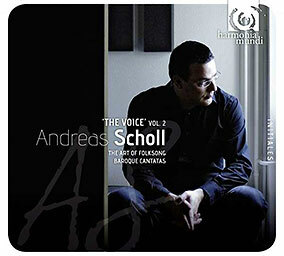 In a way these „minimal“ recordings (just two musicians) offer a flexibility and a stress-free work environment that recordings with a large ensemble simply can´t. 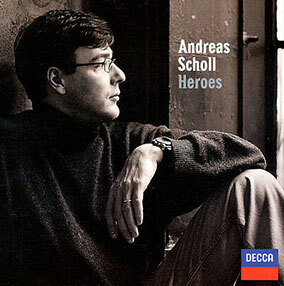 This is a DECCA compilation with arias and songs I recorded before 2006. It´s a good recommendation for everybody who wants to get a great variety of repertoire sung by me. The Korean Song „Arirang“ can be found only on this CD! I was honored that Harmonia Mundi released this beautiful compilation, however I still think that the title ‘The Voice’ will always belong to Frank Sinatra. This double CD comprises a large number of recordings I did for Harmonia Mundi, and may very well be the ideal Christmas gift!